Haute Residence welcomes prominent real estate agent, Henry Tamayo to its invitation-only real estate network. As a Haute Residence partner, Tamayo is the exclusive agent representing the luxury real estate market in Coral Gables, Florida. 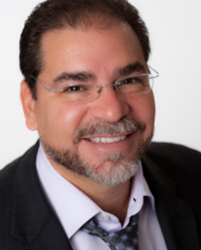 A Miami native and seasoned real estate broker, Tamayo offers clients over 28 years of experience. He serves his community beyond real estate and is guided by a deep conviction that client’s best interest is always ahead of his own. Tamayo leads the Moving Billions Group, a top producing team with Berkshire Hathaway Florida Realty. Specializing in Coral Gables, Pinecrest, South Miami, and Miami Beach among other high-end neighborhoods, Tamayo’s knowledge and experience of communities within Dade County is broad and informs the success of his team. Tamayo has witnessed and facilitated the growth of Miami Beach, which he entered in 1996 recognizing that a new and vibrant city was emerging. In 2005, he became independent and opened his own brokerage, Tamayo Real Estate Services. Capitalizing on the fact that few have seen Miami’s transformation to its current diversity and splendor and seeing growth in other sub-markets, Tamayo expanded his services to include Coral Gables, Pinecrest, and South Miami. Then, he set his sights on the art district of Wynwood where he tenaciously overcome the area's challenges, rapidly changing zoning districts and diverse market demands to name a few of his achievements. Throughout the year, Tamayo sought educational certifications to assist foreign nationals with their purchases and whose appetites for South Florida properties are increasing rapidly. Today, he brings exceptional service, vision and unparalleled knowledge to any real estate transaction, be it purchasing a condo in South Beach, selling a waterfront estate or investing in a deluxe ocean development.